Brown and gray and furry, they grasp small things with their human-like hands, stopping on their haunches to chew. They’re cute and resourceful, nimble and mischievous and in almost everyone’s backyards. In the U.S. we have squirrels and raccoons, but in South Africa they have monkeys and baboons. 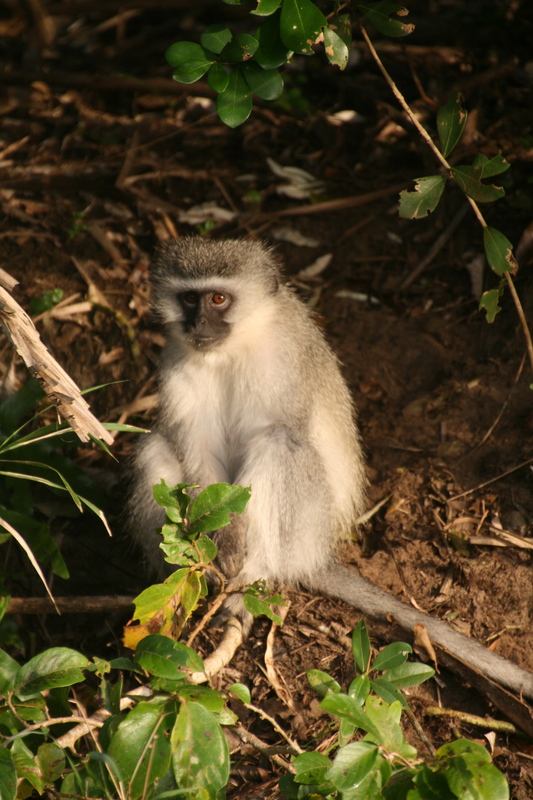 When we visited Cape Point and Cape Vidal, we saw evidence of the nuisances they have become: signs posted, “Beware of baboons” and “Don’t feed the monkeys.” We watched a woman feeding the monkeys in St. Lucia and took photographs of their innocent looking faces in the trees. In Durban, we discovered how much more trouble these animals can be. 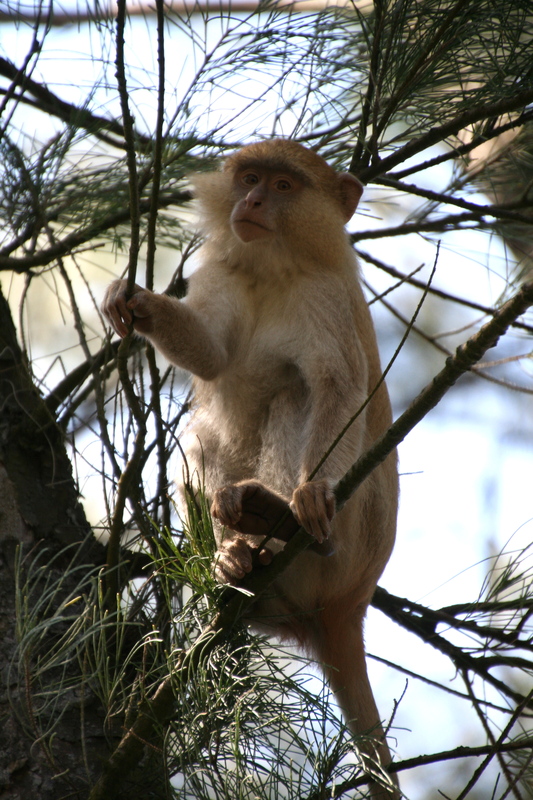 As our friend and host drove home one afternoon, she noticed several monkeys carrying food as they loped along her driveway. Inside, the kitchen was a mess. A bowl of fruit was eaten, bread and cookies left on the counter nibbled, stolen, or devoured. Her son was home sick, a window was left open, the house was too quiet and the monkeys, ever the opportunists, jumped in. When was the last time you had a squirrel in your house? In Kruger National Park, we were warned. Garbage can lids were held together with rubber bands and signs were posted, but scattered garbage was everywhere, indicating the park rangers’ ploys were not working. Yet we were still surprised at the aggressive behavior of these “cute” animals. While enjoying breakfast on the deck of our tent cabin one morning, a monkey appeared on the railing ready to pounce on our food. We yelled, and he hissed with bold animosity. We scurried inside the tent and heard his feet running along the canvas roof. We met Australians a few days later who reminisced about the cute squirrels they’d seen while visiting the States. The cuteness level seems to increase with the unknown, the unusual versus the usual, the uniqueness versus the common. Though fighting with squirrels can become quite a sport, as bird lovers try to outsmart the squirrels from stealing food from their bird feeders, and raccoons may raid a garbage can, visiting the monkeys helped me appreciate my neighbors back home. Given your description, I think there have been both squirrels and monkeys in my kitchen. Time to set up the camera and see who is lurking in or rather messing up your kitchen.